I used to work in Aldgate, not far from the Whitechapel Bell Foundry on Whitechapel Road, but I never gave much thought to what went on behind the wooden frontage of their Grade I listed building. 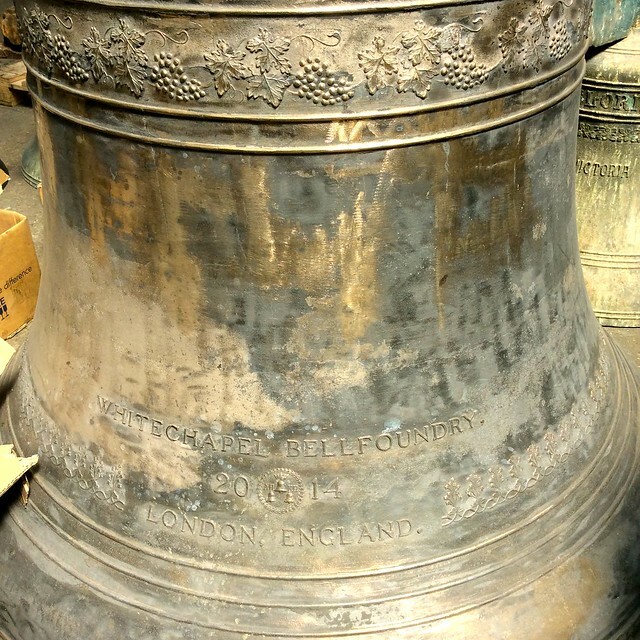 I knew they made bells there, but I didn’t know how, and I didn’t realise they’d been doing it for four hundred years, making them the oldest recorded business in Britain. 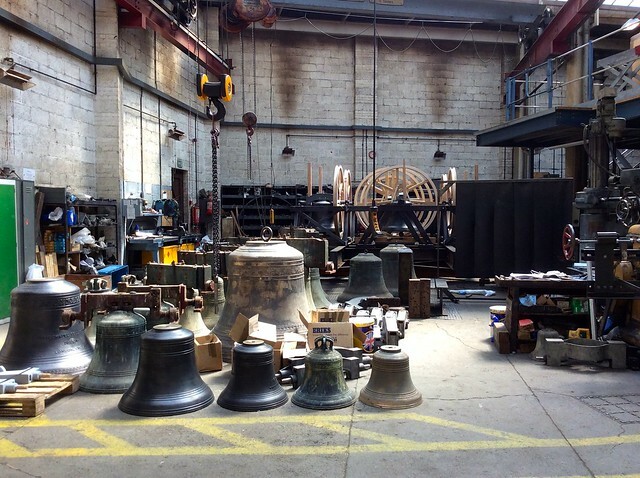 So going on a tour of the bell foundry was a real education. 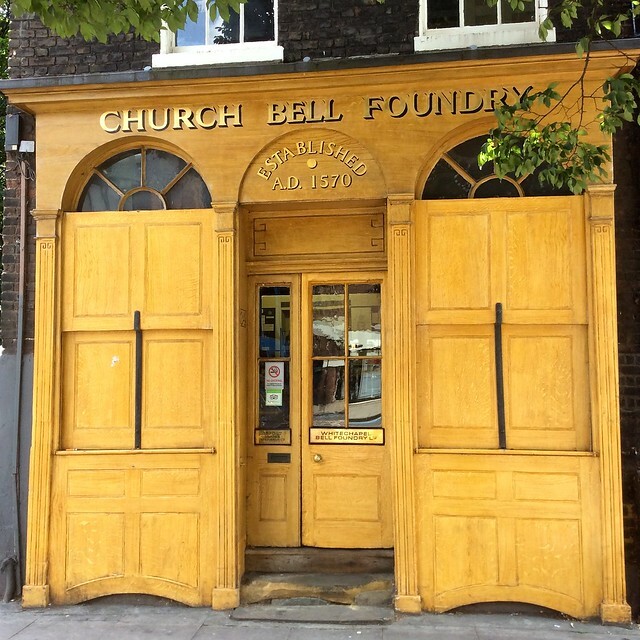 The present foundry buildings date from 1670, four years after the Great Fire of London, though the foundry has been in continuous operation since 1570 and they can trace their history through past founders to 1420. The tour takes you round the whole ancient building with its low ceilings and narrow stairways. You’re warned not to wear clothes you can’t afford to get dirty and open toed shoes are banned. 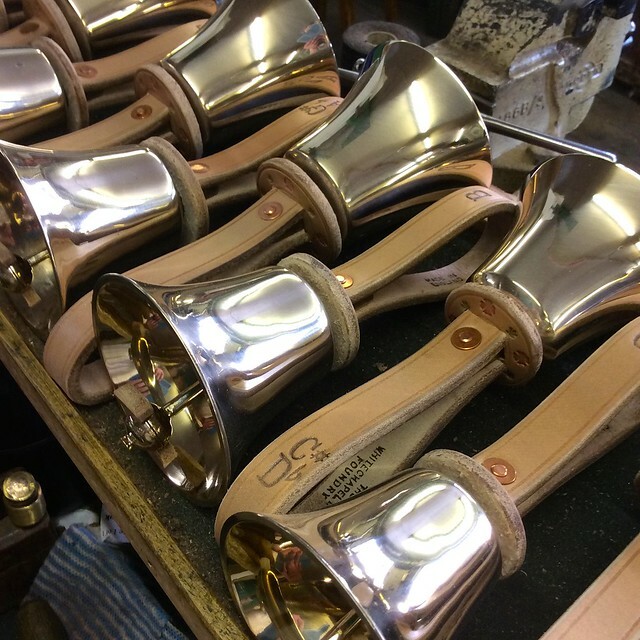 There’s something magical about seeing the processes of a working business, especially when that business is as ancient and musical as bell making. They cast the bells the way they always have done, making the clay moulds by hand and filling them with burning hot metal that takes days, or sometimes weeks, to cool. 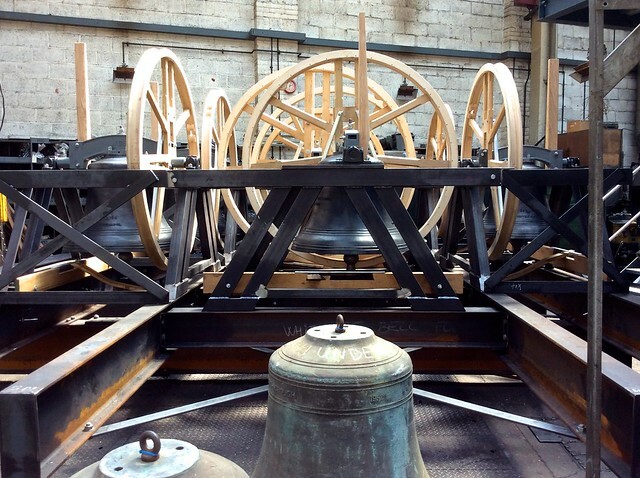 Bells have to be precision tuned, which is done by removing fine layers of metal. Each layer removed makes the sound sharper, so you have to make the bell flat to start with and refine it from there – there’s no going back if you inadvertently go too far. 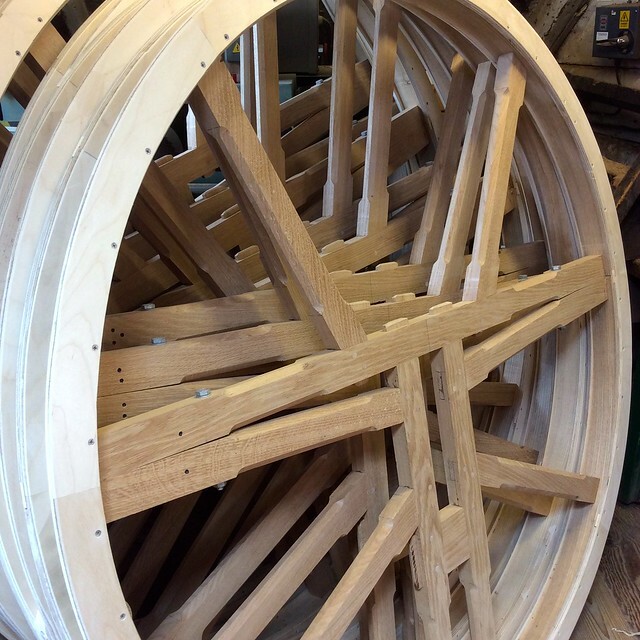 Their bell wheels are made of English oak. 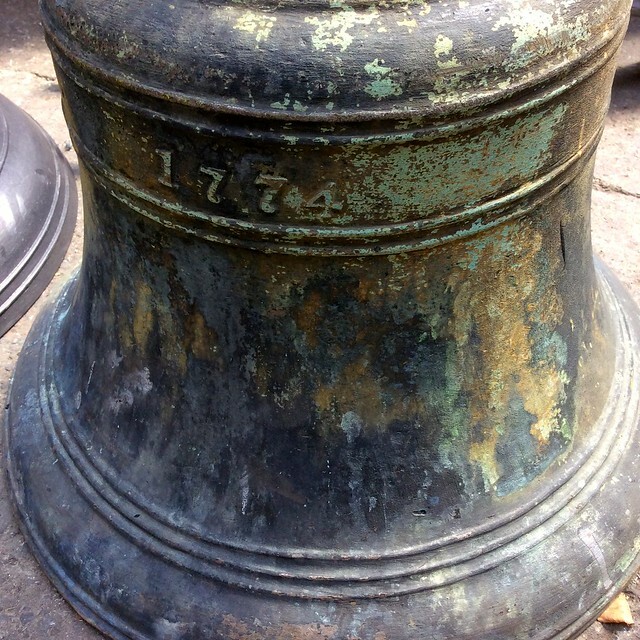 The Whitechapel Bell Foundry famously cast the bell for Big Ben in 1859. It was nine feet in diameter, seven and a half feet high and weighed more than thirteen tons. Traffic came to a standstill when it was transported on a trolley drawn by sixteen horses through the streets from the bell foundry to the Houses of Parliament. 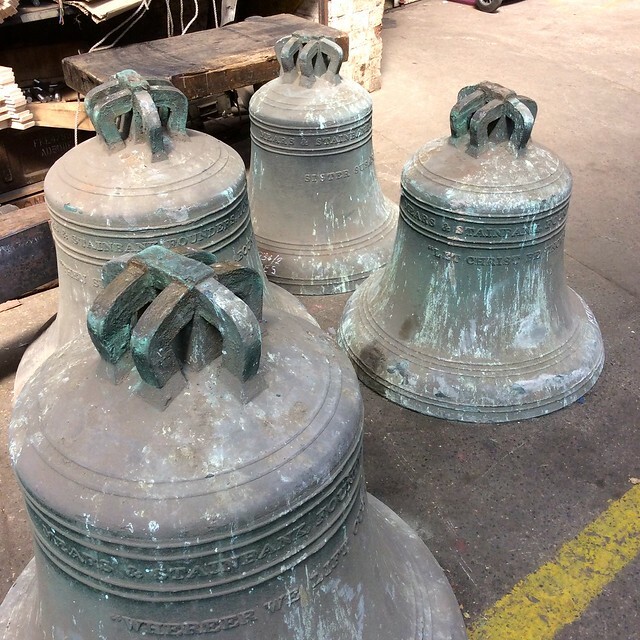 The bell foundry doesn’t just make church bells; it produces hand bells, clock bells, small bells and hand chimes and renovates bells it’s made in the past. 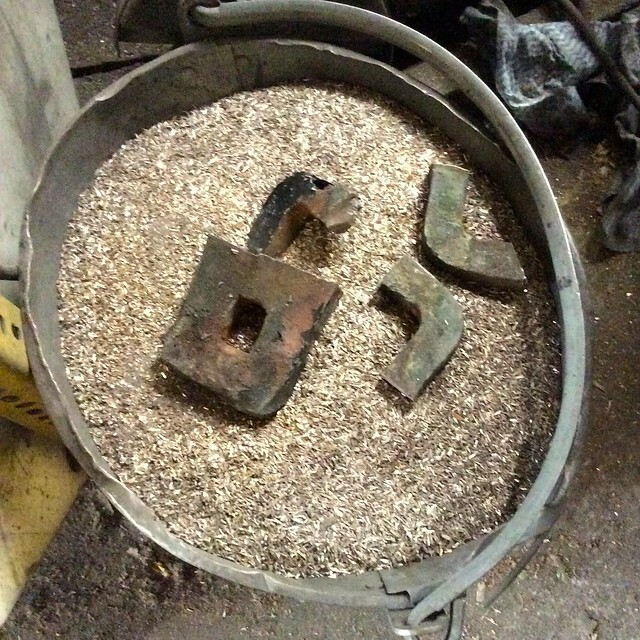 It’s not easy to get on a bell foundry tour. The place is tiny and they’re hard at work making bells during the week so tours can only take place on Saturdays (and not every Saturday, either). They release the tour dates for the following year on the first of September, so if you think you’d like to go, now’s the time to think about applying for a tour in 2016. 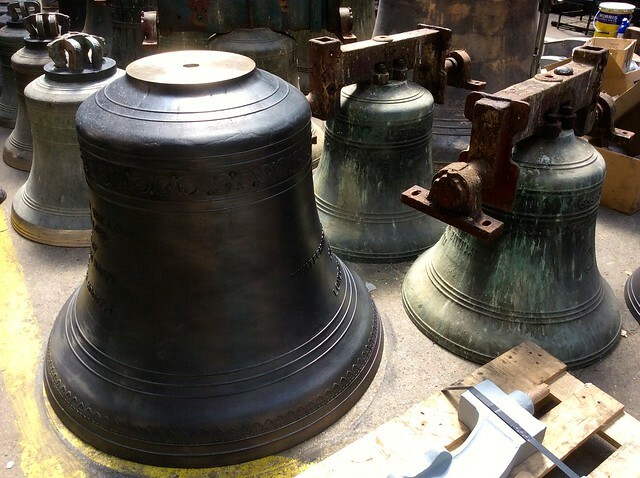 This entry was posted in Craft, History and tagged arts, bells, Big Ben, hand bell, London, Whitechapel, Whitechapel Bell Foundry by Fran. Bookmark the permalink. 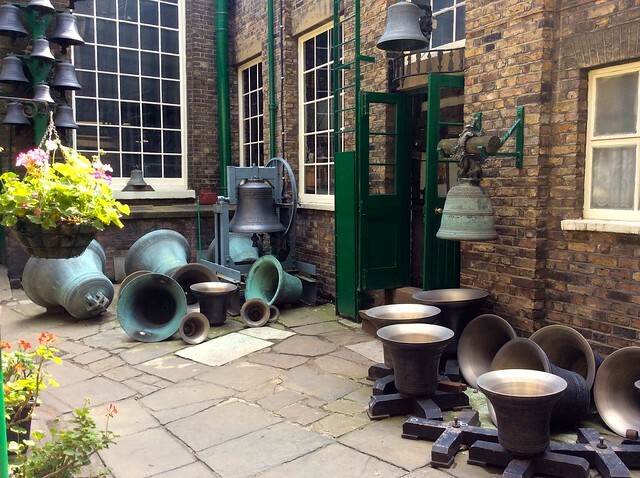 I get a feeling that there’s something magical about those bells. Even if it’s only music, not magic, it’s impressive. I agree – there’s something really special about them. Yes, a wonderful place to visit! That was thrilling. I’ve done some bronze casting in my art college past. I have a feeling that one of my co-students works at the foundry… though maybe not any longer. It’s a much more artistic process than I’d realised.